Roasted vegetables it was, and soup, and more roasted vegetables 🙂 Ahhh, the way the heat of an oven transforms simple, lowly vegetables into something so utterly delicious, it almost melts in your mouth! Transfer to foil lined baking sheet (easy clean up), sprinkle with salt, and zatar seasoning. 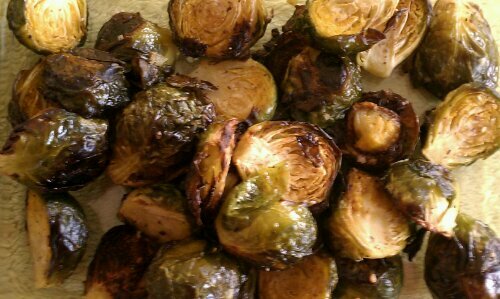 Roast for about 30 -35 minutes, or until tender and browned in spots. Stirring once halfway through. 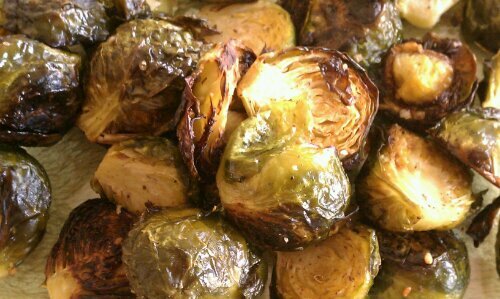 roast then drizzle with lemon olive oil dressing. And next I made some roasted carrots. I mean why stop, when we’re having so much fun?? 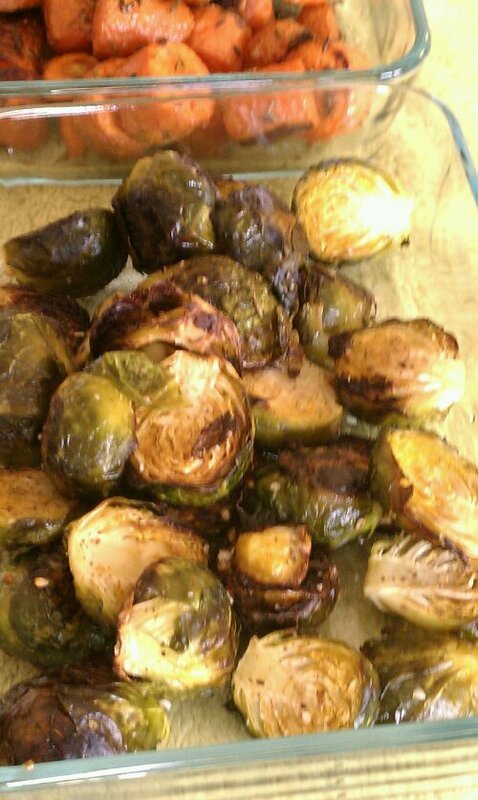 BACON and Brussels Sprouts. Try it! These look ilnbedircy yummy! 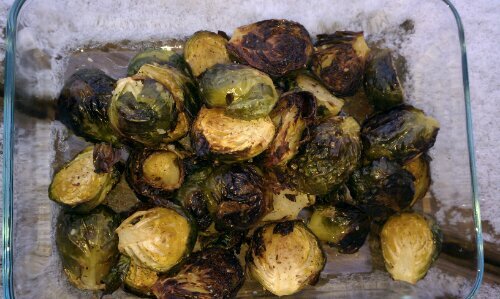 No one in my family will eat them, so I wait in anticpation for those days when I’m alone- then I cook brussel sprouts just for me! I love this version!